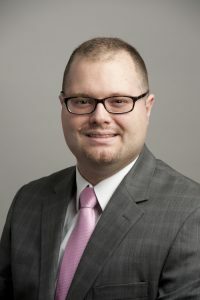 Thomas Brigandi is an analyst in the Global Project and Infrastructure Finance Group at a Credit Rating Agency (CRA), where he serves as a lead analyst for 34 power, toll-road, airport, port, water, wastewater, natural gas pipeline and project finance credits. Brigandi also serves on a CRA’s public pension steering committee, ESG Americas working group and formerly served on the veteran recruiting sub-committee. Brigandi previously worked at the ~$180bn NYC Pension Fund, where he focused on energy and natural resources and reported directly to the chief investment officer. Brigandi is a Board Director of the roughly 12,000 investment professional member CFA Society New York (CFANY), the largest CFA Institute Society globally. Brigandi, the CFA Institute Inaugural Global Outstanding Young Leader and CFANY’s 2016 Benjamin Graham Distinguished Service Award recipient, has organized 80 CFA Society conferences that were attended by over 14,500 investment professionals. These events featured over 200 senior asset owner and investment consultant speakers who represent organizations that collectively oversee or advise on in excess of $60 trillion in fiduciary assets, in addition to over 300 senior asset manager and other investment professional speakers who represent firms that collectively manage in excess of $30 trillion in assets. Brigandi, the founder of CFANY’s Asset Owner Series, Emerging and Frontier Market Series, Investment Employment Outlook and Professional Development Series, Putting Beneficiaries First Series and Global Infrastructure Conference Series, leads a team of over 500 investment professional CFA Society volunteers globally. While serving as the Director of Global Volunteers of the American Foundation for African Children’s Education, Brigandi organized the NASDAQ Closing Bell Ceremony on September 23, 2011, hosted for the President of Sierra Leone. Brigandi maintains over 13,000 connections ‎on LinkedIn and holds a Bachelor of Science in Finance, Accounting and Economics from the Macaulay Honors College (MHC) at the City University of New York. Brigandi received the college’s inaugural Alumni Pioneer Award and serves on the MHC Foundation Board of Directors.